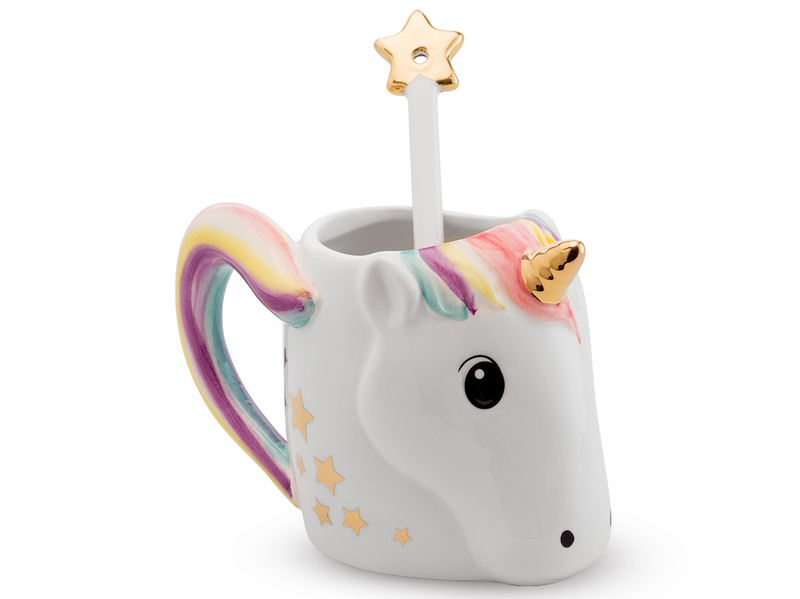 How cute is this unicorn mug? 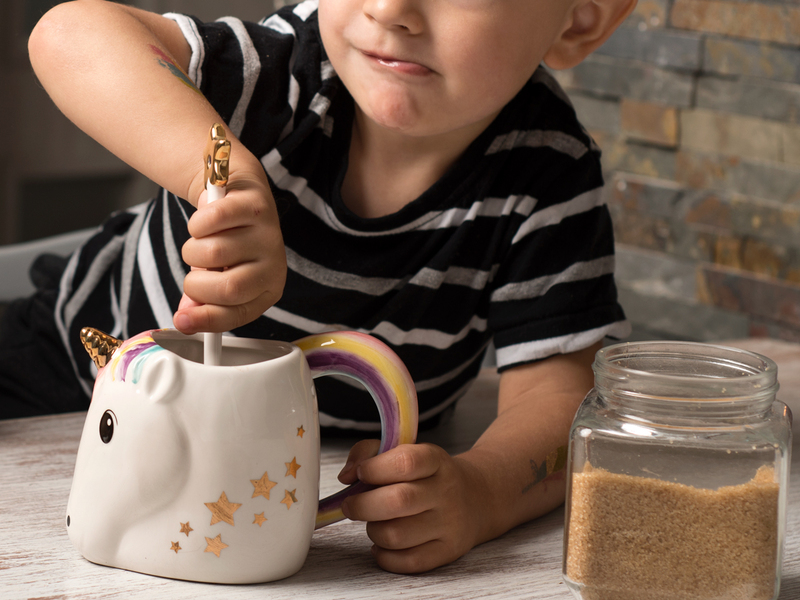 We can't really express it in numbers, but we do have a lot of stars, some rainbows and a horn of gold. 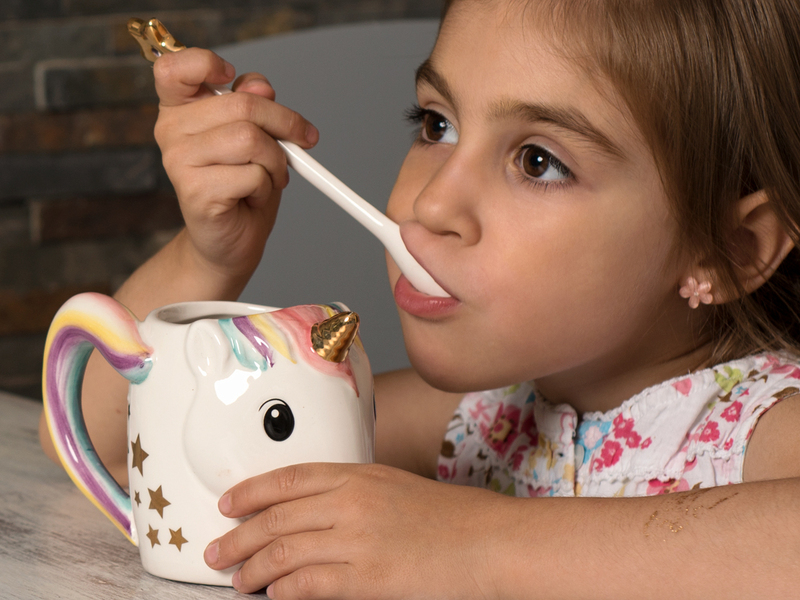 The Unicorn Mug even comes with its own magical attribute: the spoon is in fact a wand! True story. 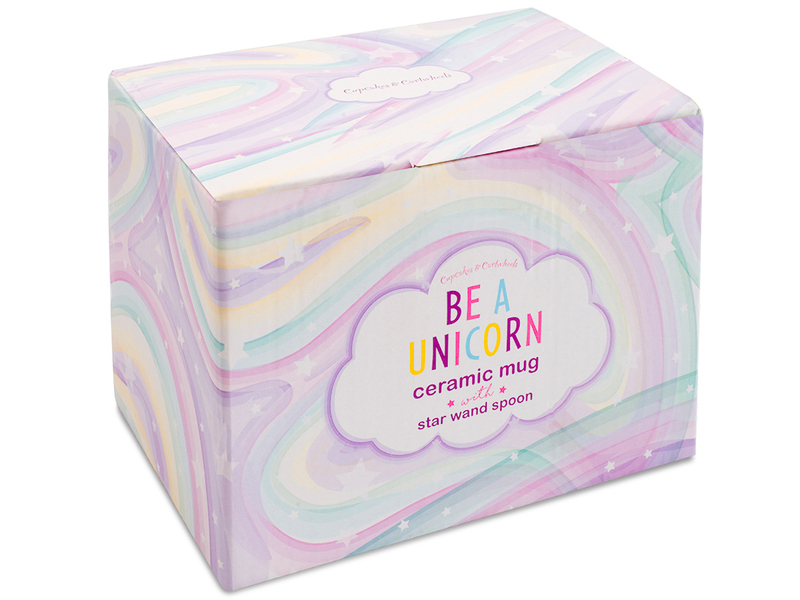 How else do think a unicorn turned into a girly mug? 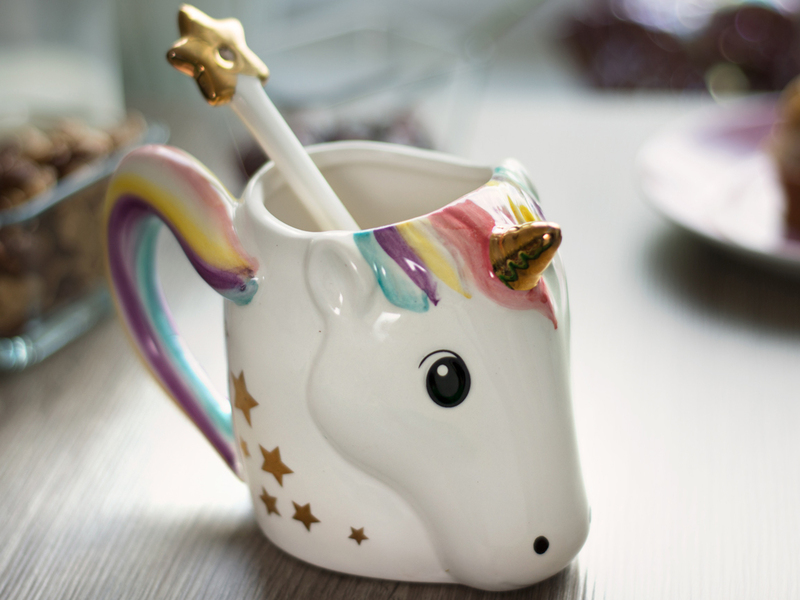 Please note: unicorn are delicate creatures, in particular when it comes to their gold horn. You should therefore bathe them carefully, by hand. 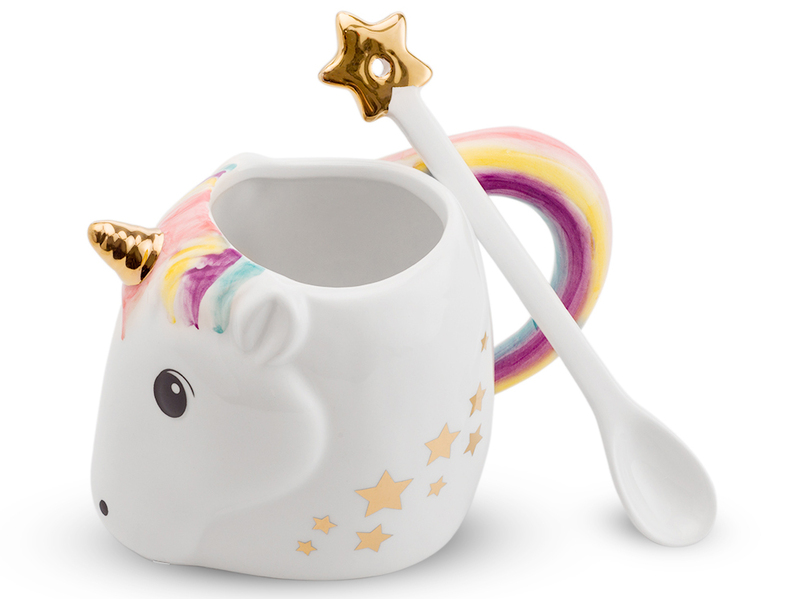 This also explains why no fairy-tale ever mentions dishwashers or microwaves.